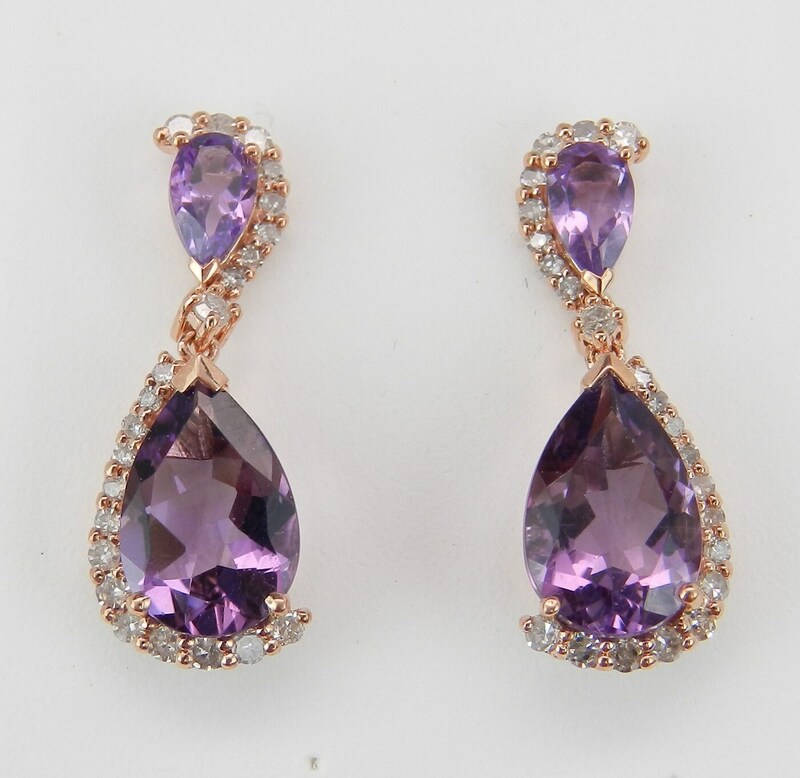 Rose Gold Diamond and Amethyst Dangle Drop Earrings. 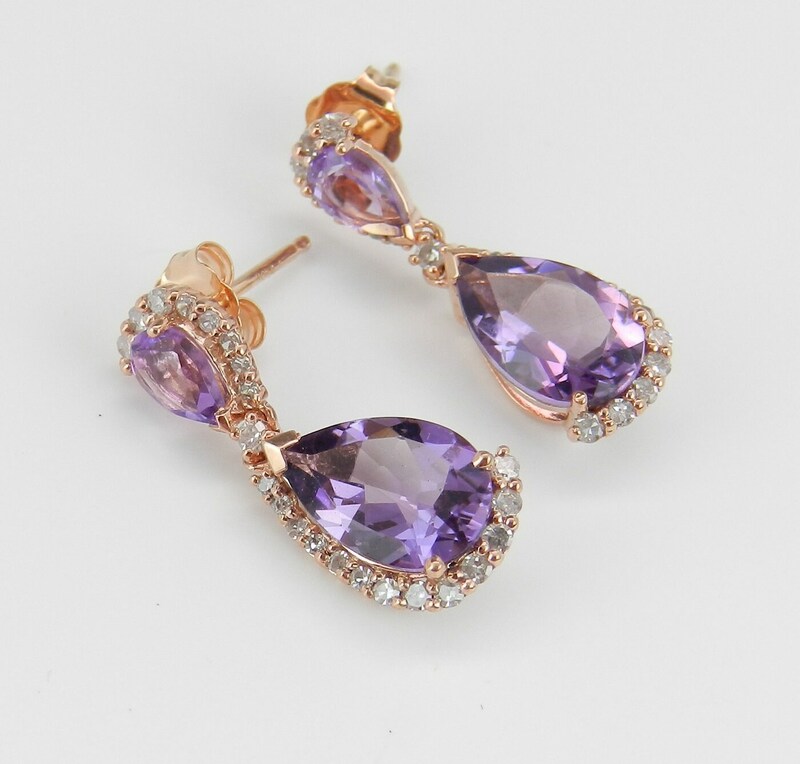 There are four genuine Amethysts and forty-four natural Round Diamonds set in these earrings. 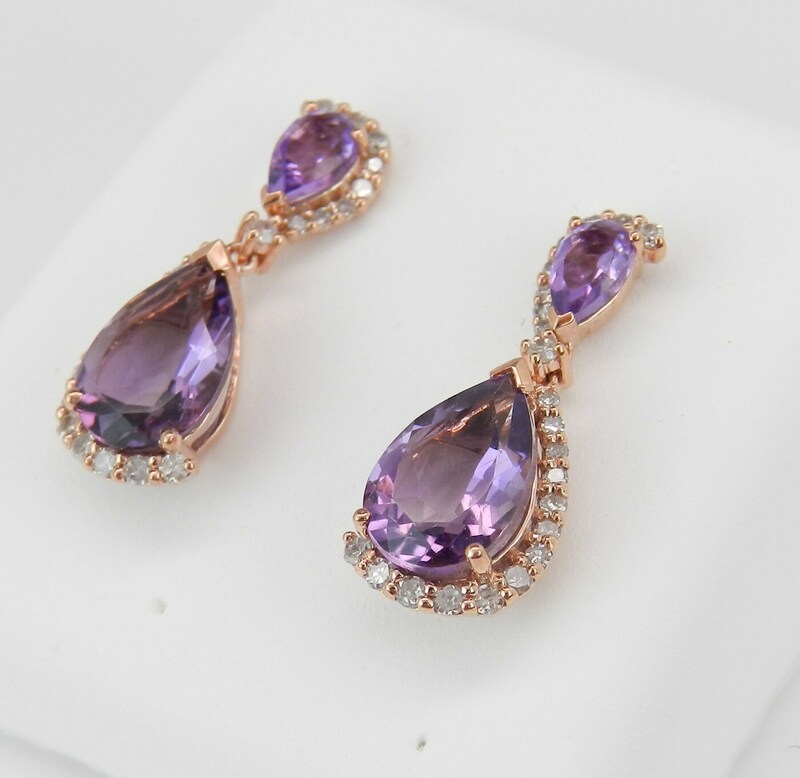 The Amethysts in these earrings are a deep purple color, 2 Pear shaped Amethysts measure 8 X 6 mm each, 2 pear shape Amethysts measure 5 X 3 mm each and all combine to a total weight of 2 1/2 carats. 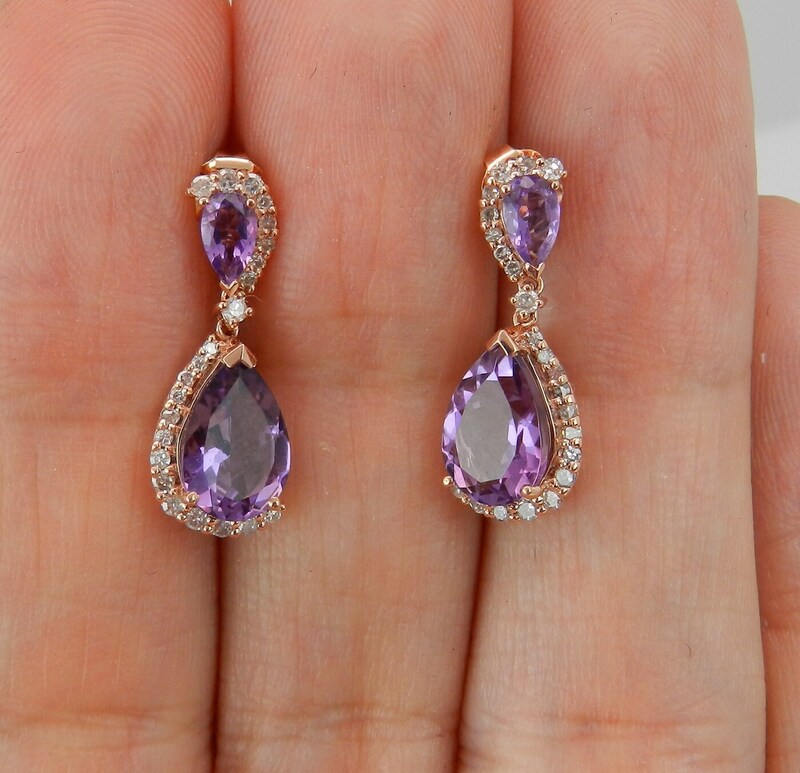 The diamonds in these earrings are H color, SI1 clarity and weigh a total of .20 carat. 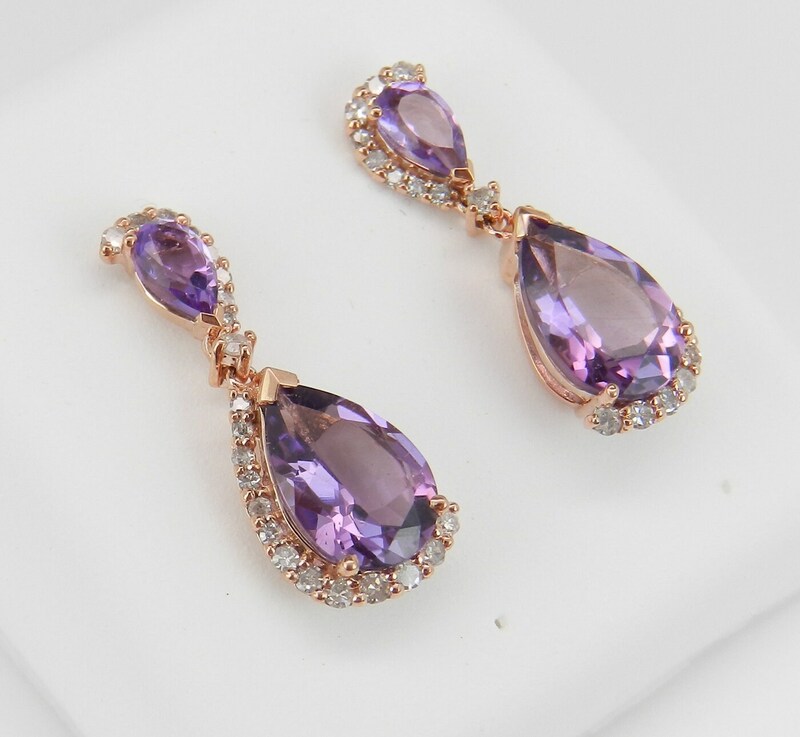 These earrings are 10KT Rose Gold, measure 19 mm in length and weigh a total of 2.0 grams. These earrings are for pierced ears and have a friction back posts. 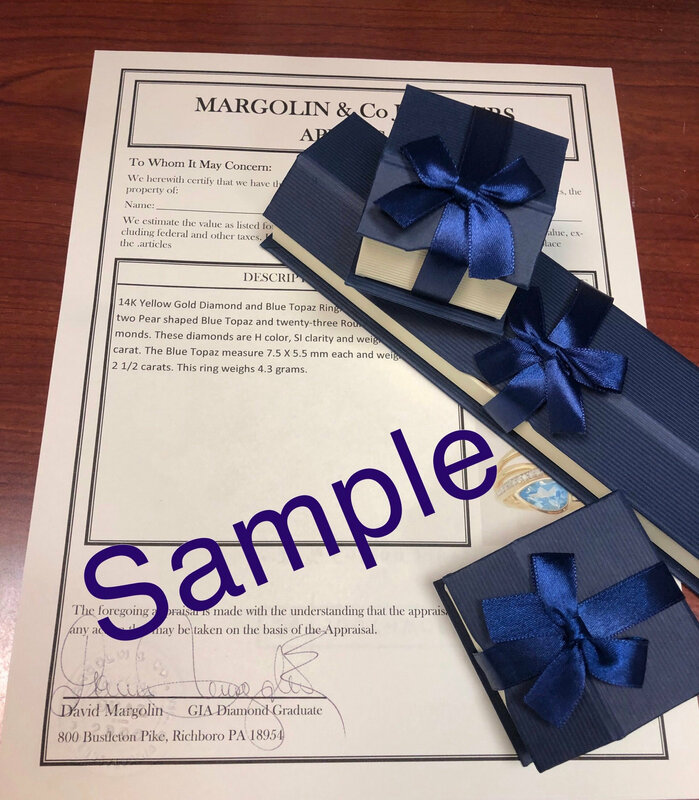 These earrings will be accompanied by an appraisal written by a GIA Certified Diamond Grader with the retail replacement value of $1,349.00. I will ship these earrings promptly in a gift box.